We are able to make all arrangement at your home, or place that is convenient to you. 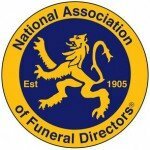 We are friendly, family run, local,independent funeral directors, and are here to help you with a dedicated, professional and personal service. We are privileged to be entrusted with the arrangements of your loved one, we are committed to you 365 days of the year, and we will guide you carefully each step of the way.